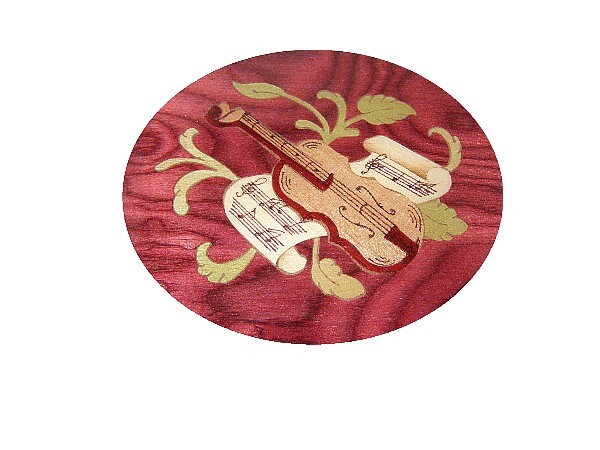 The music box is wound from underneath. 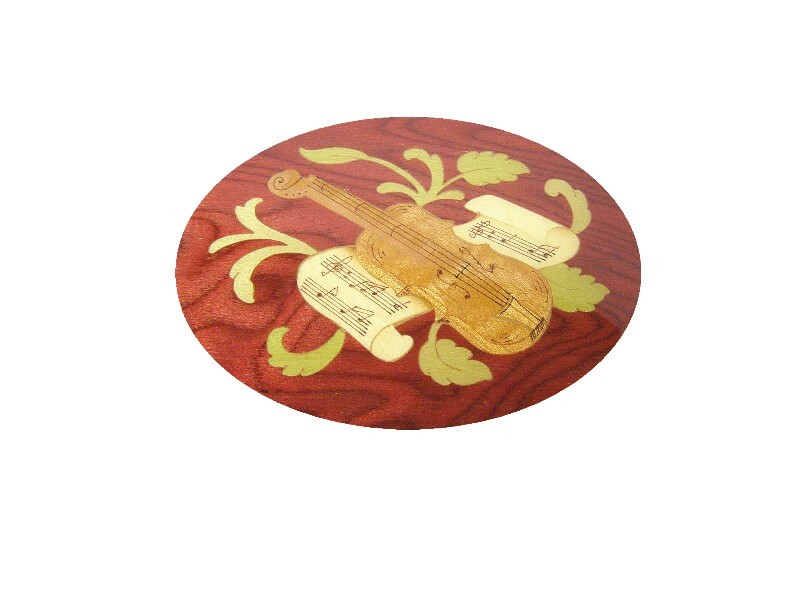 When you lift the lid the music plays. 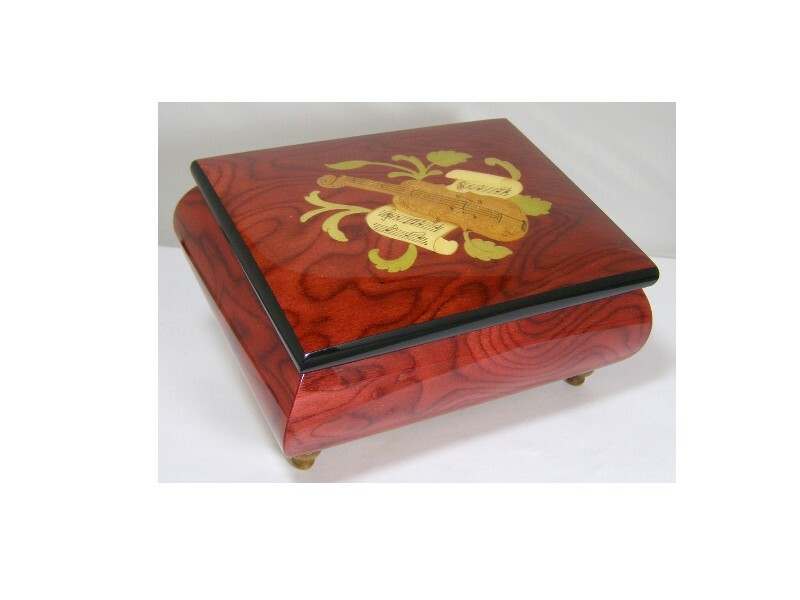 The box is in a red veneer and inlaid with a musical instrument design. 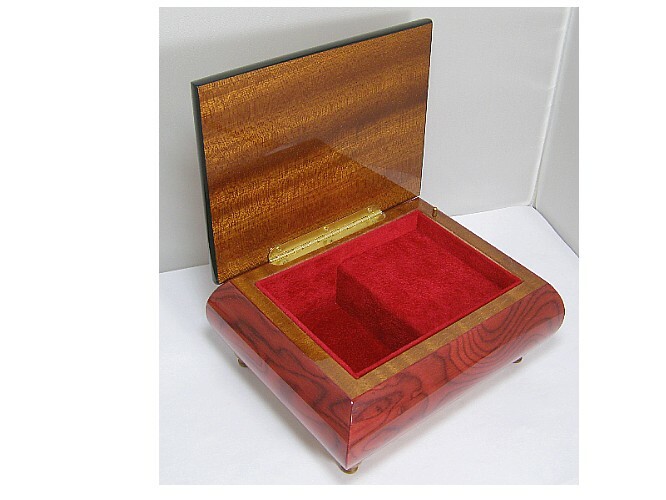 This musical jewelry / ring box is finished with a gloss lacquer.